Should “under God” be removed from the Pledge of Allegiance? Does posting the 10 Commandments on a public building infringe on the separation of church and state? Take the quiz to find out where God and government meet. Take our quiz to tesat your knowledge on this hot issue. In Kentucky, public classrooms are required to display copies of the Ten Commandments. In 1980, the Supreme Court struck down the law requiring public classrooms to exhibit displays of the Ten Commandments. The National Christmas Tree was first placed at the White House in 1923. In 1923, the First Lady Grace Coolidge gave permission to erect the first tree. And it became a national tradition a few years later. What famous U.S. landmark includes a depiction of Moses holding the Ten Commandments? The Supreme Courts depiction of Moses carrying the Ten Commandments has drawn criticism for its religious association. The frieze shows Moses along with other historical figures, including Chinese philosopher Confucius and famous Frenchman Napoleon Bonaparte. The high court received arguments in March on the legality of placing religious objects in public places, a case that could force the court to remove the famous piece of artwork. What is the U.S. motto? 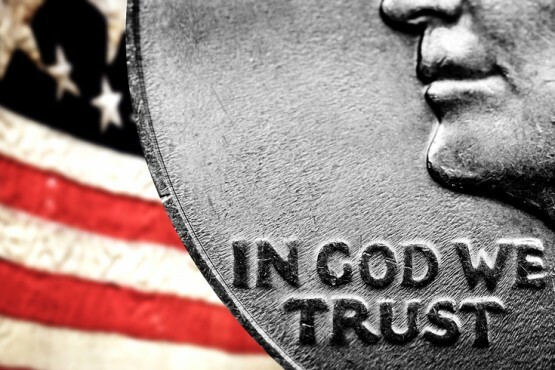 President Eisenhower declared “In God We Trust” the national motto in 1956. The Constitution requires that the president be sworn in with a Bible during the inauguration ceremony. While no constitutional law exists requiring an incoming president to take the presidential oath over a Bible, every president since George Washington, with the exception of Theodore Roosevelt, has been sworn into office over a copy of the book. Annuit Coeptis, which is featured in the Great Seal of the United States, means what? He has favored our undertakings. Charles Thomson added Annuit Coeptis to the Great Seal during its design in 1782. The Latin phrase has been linked to Virgil, a Roman poet who lived in the first century B.C. The motto is most prominently displayed on the dollar bill, and translates to He (God) has favored our undertakings. Witnesses must agree to the civil oath, which includes the line, “so help you God,” before giving testimony in court. Congress begins its sessions with a prayer. The U.S. House and Senate begins each session with a brief prayer. The U.S. House and Senate begin each session with a brief prayer. Alabama was forced to remove what religious object from its state courthouse in 2003? Alabama Supreme Court Judge Roy Moore lost his job after defying a federal directive to remove a 5,300-pound display of the Ten Commandments he had installed in the courthouse in 2001. He was returned to the bench as Chief Justice of the Alabama Supreme Court in 2012. What famous phrase is stamped on U.S. currency? “In God We Trust” first appeared on the two-cent coin in 1864, and a year later, Congress passed a resolution to place the motto on all gold and silver coins. But it was not until 1957 that President Dwight D. Eisenhower officially placed the message on paper currency. In what does “one nation under God” appear? “One Nation under God” is recited as part of the Pledge of Allegiance. The pledge did not include the words “under God” until Congress added them in 1954.